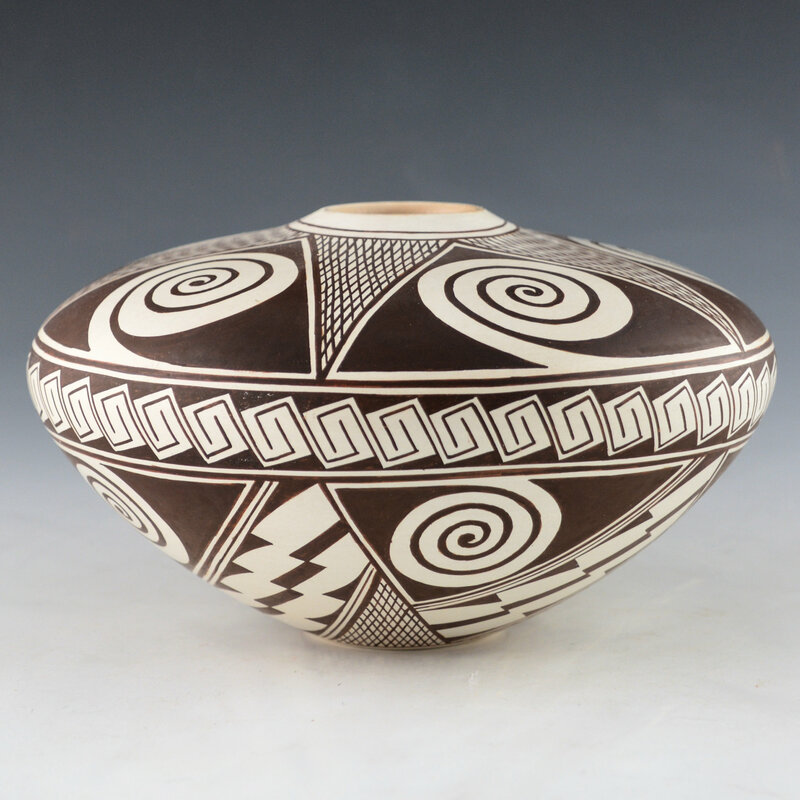 Rainy Naha is known for her delicately painted Hopi-Tewa pottery. This bowl is one of her classic shapes with a wide shoulder and just a slight neck. 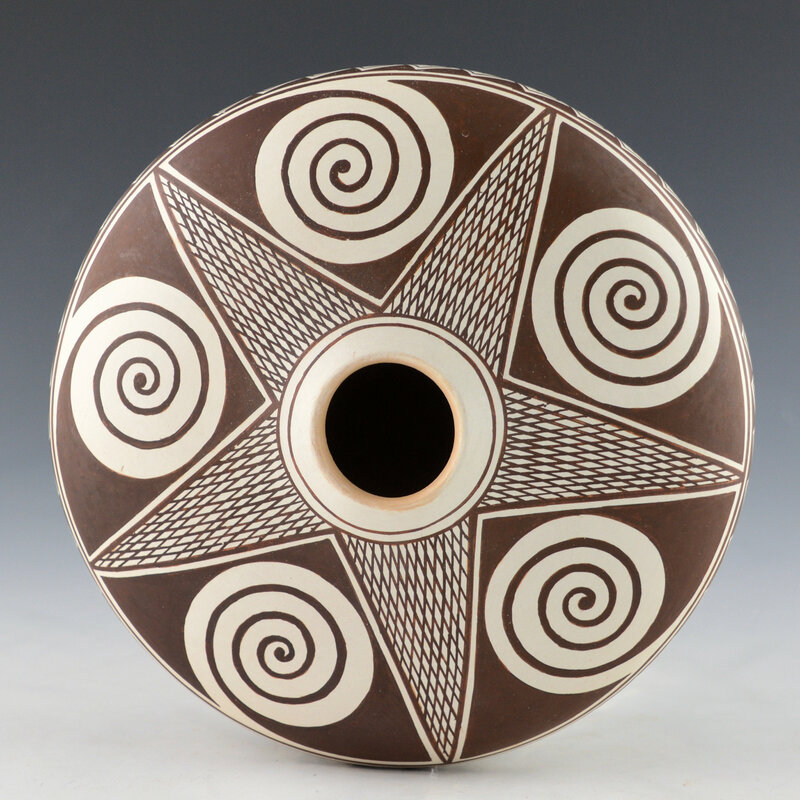 The design is the “Awatovi Star” pattern, which was revived by her mother, Helen “Featherwoman” Naha. Awatovi is one of the ruins near Hopi where a white slipped style of pottery was made. It is a fascinating place as it was where Coronado made contact with the Hopi in 1540. During the excavations in the 1930’s the whiteware pottery was rediscovered. 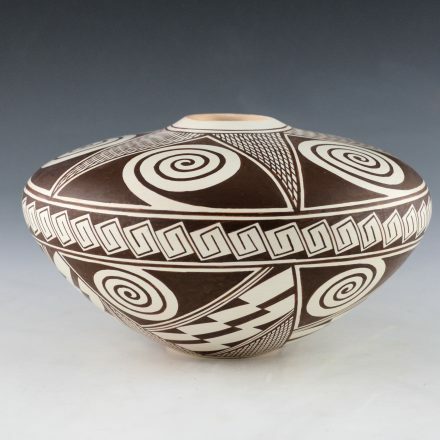 It was the imagery from his work which inspired much of Helen’s early pottery, as opposed to the more classic Sikyatki inspired pottery of Nampeyo of Hano. 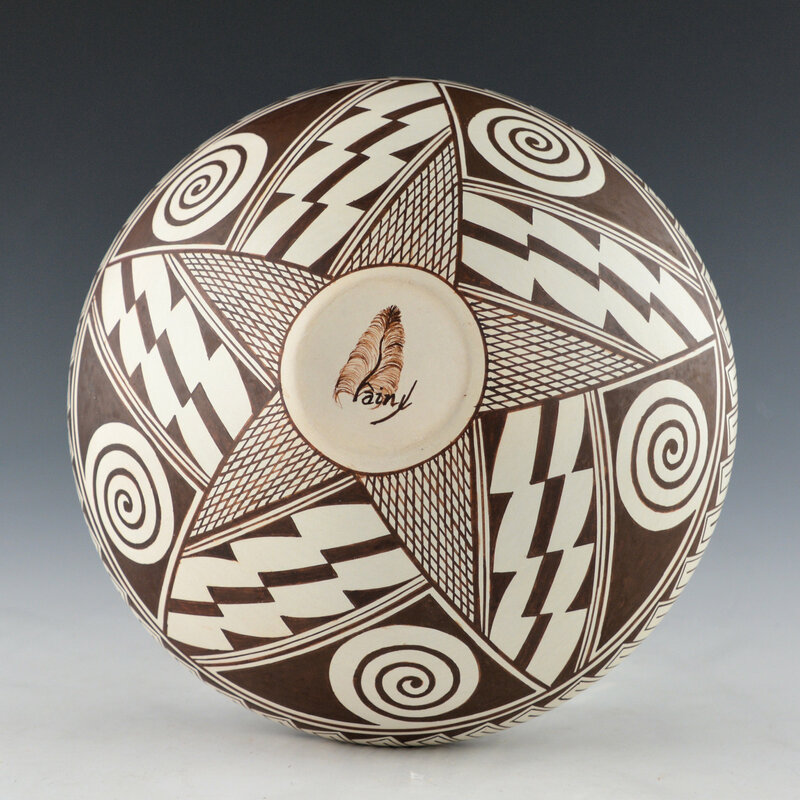 This bowl has the “Awatovi Star” pattern painted on the top and the bottom. Around the shoulder is her “eternity band” design. The bowl has been traditionally fired and there is some variation to the color with the fired cloud, which certainly adds to the beauty of the piece. It is tightly painted using bee-weed (black) on a white kaolin clay surface. There is a balance of the design on the surface as the piece is turned which is simply beautiful! It is signed on the bottom with a feather and her name.